That's a Lot of Lazy Writing: Movies Featuring "Blah Blah Blah"
It’s unfortunate that a compilation of movie clips featuring “blah blah blah” must–by definition–exclude a shout-out to Arrested Development‘s Bob Loblaw. 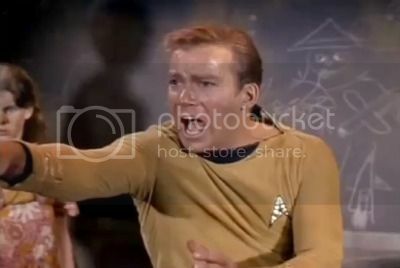 Leave it to Captain Kirk to deliver the most spastic, over-acted performance. Even when compared to an untrained child actor–Judd Apatow’s daughter in the scene from Knocked Up. Via The Awesomer, who compares Captain Kirk to an untrained child actor all the time.